Gamers are still reeling after watching the stunning 48-minute long Cyberpunk 2077 gameplay demo shortly after Gamescom last month. The hype for the game managed to get to new heights, and it was already strong to begin with. It’s hardly a surprise, then, that EDGE magazine chose to feature Cyberpunk 2077 on their November 2018 magazine cover. In the article, CD Projekt RED’s Producer Richard Borzymowski explained that the success enjoyed by The Witcher 3 – far greater than the previous two installments – breathed additional confidence into the development team as they moved on to the new challenge of Cyberpunk 2077. It gave us a sense of safety in our own skills. Right now our environment artists are populating a level with the assets, and they are not afraid of testing out new things. This is exactly what we need to stay open to, because personally I believe that The Witcher turned out that good – and why Cyberpunk will turn out really good – because we are not afraid of change. It takes a degree of determination, for sure. From the very beginning we were saying ‘Alright, this is huge, but this is what we want to aim for.’ As producers, we’re responsible for taking this vision and verifying the capability of the team and deciding if we have to change it structure-wise, or if we have to somehow change the content of the game to make it more flexible. The Witcher III wasn’t less complex, but it was complex in a different way. When we were world-building you had those big open spaces, which still had to be filled out. It’s not like it was easier or cheaper to build all those beautiful forests and meadows, but it is more forgiving. If one tree is a bit more off to the right, this is exactly how forests look. But if you put a building too far apart from a different one in the middle of a city, then this can’t really work, right? You have to fill this gap in between doing other things already. And you have to push everything. 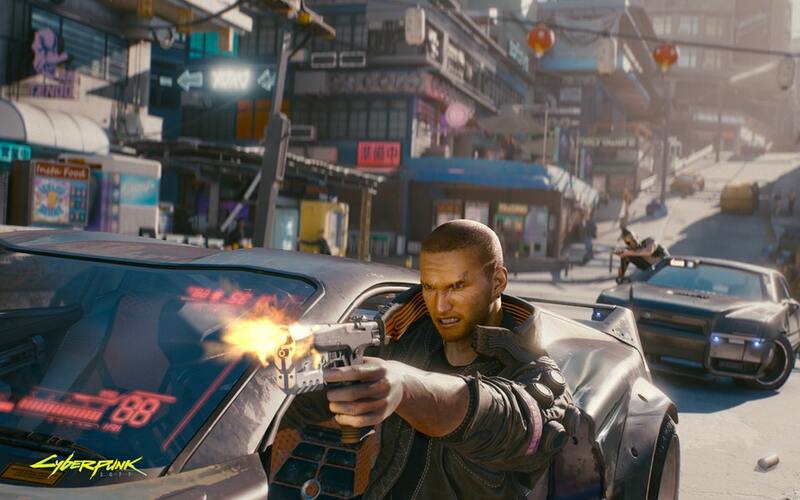 On the technical side of development, Lead Cinematics Animator Maciej Pietras explained that the animation and facial animation systems were completely remade and the engine is being pushed forward while taking care that Cyberpunk 2077 runs on current-generation consoles, too. We have a completely new animation system, and we completely changed the approach to handling animations. We have a better mocap studio, we have a completely new facial animation system based on muscles. We have a new way of generating lip sync animation when people are talking. We have a completely new approach to creating environments, so instead of working on a huge world at once we are creating prefabs which are then adjusted and placed differently, so everything is scalable. Another thing is simply our engine, which we decided to push far while still working hard on optimisation to make sure the game will run on current-gen consoles. It’s a completely new way – I would say almost every single department went through this kind of evolution. Cyberpunk 2077 doesn’t have a release date. However, based on the developer comments on the game definitely making it on PlayStation 4 and Xbox One, we’d estimate a launch window between late 2019 and early 2020, since Sony and Microsoft’s next-generation consoles are currently believed to be targeting a Fall 2020 debut.